When you hear the word "dyslexia," you may think of children reversing letters and struggling to read. But if it goes unchecked, dyslexia may have a long-reaching impact on children's ability to learn, their self-esteem and even their ability to speak. Don't despair, however. A diagnosis of dyslexia doesn't mean your child will struggle to read the rest of his or her life. Help that can train your child to adapt is available. Though the root cause of dyslexia is still under investigation, we do know that it is a neurological learning disability and can run in families. Children with dyslexia process words differently than other children do, and as a result, have difficulty mastering language skills. 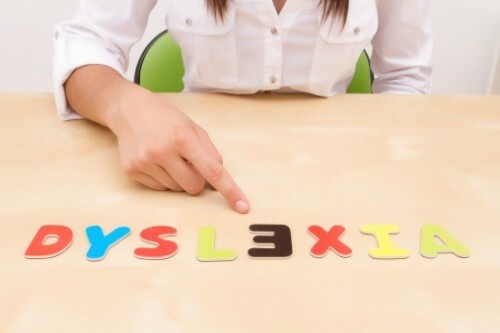 "Many children with dyslexia are undiagnosed," said DeeDee Hernandez, MS, CCC-SLP, a speech language pathologist and certified dyslexia tutor with Cook Children's Rehabilitation Services Northeast Clinic. "Parents should be on the lookout for signs that could indicate the child has dyslexia, especially if the learning disability runs in the family. Young children with dyslexia may have trouble rhyming, recognizing letters, learning their sounds, pronouncing words and learning sequences – such as the days of the week or letters of the alphabet. Signs in school-age children include trouble with spelling, gripping a pencil, mastering handwriting, learning new skills, comprehending math and following a sequence of directions or putting letters in order. Teenagers with untreated dyslexia may struggle with learning a foreign language, managing their time, reading aloud or at an age-appropriate level, memorizing things and grasping the concept of jokes and plays on words. Because dyslexia is a neurological disorder and not a visual problem, special glasses and exercises have not been shown to be effective. However, speech language pathologists such as Hernandez help children with dyslexia learn the pivotal building blocks of language. She recommends parents seek specially trained professionals for help with dyslexia. With rehabilitation locations in Fort Worth, Hurst and Mansfield, Cook Children’s provides specialized support for children in need of audiology, occupational therapy, physical therapy and speech therapy. To make an appointment, talk to your primary care pediatrician or call 682-885-3898.